susan shapiro reads from Overexposed. ; hilary davidson reads from The Damage Done. Susan Shapiro discusses Only as Good as Your Word: Writing Lessons from My Favorite Literary Gurus. How do I get an agent? Should I call my autobiographical story a novel or memoir? Do I have to write the whole book or just the proposal? How many pages do I need? What kind of advance can I expect? In this Secrets of Book Publishing panel, a young novelist, a seasoned pro with her third book out, two debut memoirists (one who is a New York Times editor! ), a literary agent and the author of 5 nonfiction books will spill all the inside info on how you too can write a great book and nail a publishing deal. The event is FREE and open to the public. For updates and additional information, please visit the website at www.bryantpark.org The Bryant Park Reading Room located on the 42nd Street side of the park - under the trees - between the back of the NYPL & 6th Avenue. Look for the burgundy and white umbrellas. Rain Venue: Library of the General Society of Mechanics and Tradesmen 20 West 44th Street (between 5th & 6th Avenue). 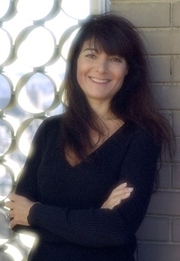 Susan Shapiro is currently considered a "single author." If one or more works are by a distinct, homonymous authors, go ahead and split the author. Susan Shapiro is composed of 1 name.